Is everyone’s family as kooky as mine? Wait, don’t answer that. But truly, when I look at how many different dishes we sometimes have at the same table, I do feel like we are more diner than family-style when it comes to meals. There’s my dad with the tattered but still crazy vegan diet that says you shouldn’t combine vegetables that grow above ground and below ground in the same meal (wtf? ), my child who eats well, but rejects most soups and has a limited vegetable acceptability quotient; my mom who likes what she likes when she likes it and is not always easy to predict, and me, who eats mostly salad and picks at everyone else’s when she doesn’t really mean to and then complains about weight management. Four people, four different meals. 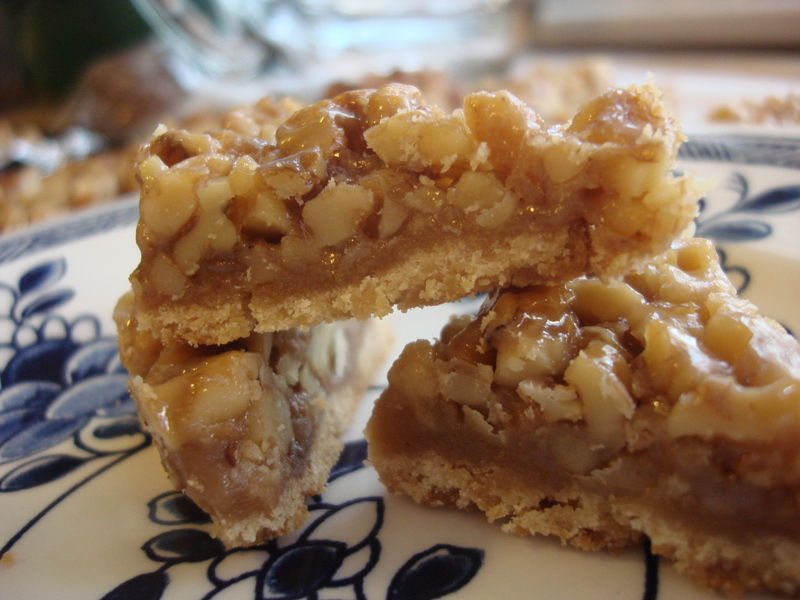 But then, sometimes you hit on something that is one dish that everyone can eat and modify to their liking. You are not alone. The cashier at our local grocery store didn’t know what it was either. When I explained to her that it was celery root, or celeriac, I remembered the day when I first encountered celery root (beware, gentle reader, a somewhat Proustian moment is about to ensue). I was a (not-very-enthusiastic and rather undocumented) jeune fille au pair in Paris – a nanny/housekeeper for a divorced, working mom with two kids. I understand Madame D. a lot better now that I am a single parent, but back then, all I could understand was that she was underpaying me for a lot of domestic work that didn’t let me take French lessons or frequent cafés in the manner which I thought more befitting my station. It didn’t even let me buy enough food. At the weekends, when I didn’t eat with the family, I skipped a lot of meals. In turn, Madame D. was clear that, while I had certain likeable qualities, I was pretty much an American brat who did not know much about anything at all. The truth, as always, lies somewhere in the middle. 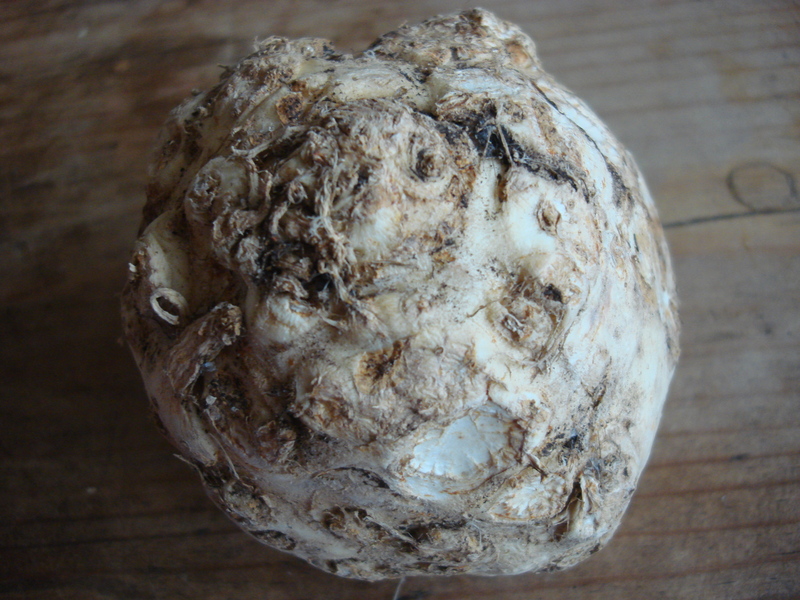 Celery root has a certain je ne sais quoi, non? Anyhoo, I pretended not to be able to cook in order to avoid having to cook, but when she brought home this homely, knobbly, ugly softball of a vegetable, I was not faking my ignorance. I was truly mystified. Qu’est-ce que c’est? Or, in today’s common parlance: WTF? Madame D. explained that because Americans are wasteful, they don’t use the bulby root of celery stalks, while the French, in their infinite superiority, understood its sublime nature and made it a national dish – celeriac remoulade (which we are not doing today, so don’t get excited, but coming soon!). I nodded and watched her make the remoulade (celeriac slaw with mayo and mustard powder, basically) and it was indeed sublime ( breath of relief, as Madame. D. French or not, was not much of a cook, but since I was pretending not to be able to cook myself, I ate what I was given. And took seconds if they were ever offered, even if I shocked the family. I was hungry!!!!!). As it turns out, Madame D. was correct that celeriac is good stuff, but this time, it wasn’t a case of Americans chopping off the best part of a plant out of stupidity. Celeriac (Apium graveolens rapaceum) is not at all the root of the celery stalk (Apium graveolens dulce) so ubiquitous in the American supermarket. They are all celery, but distinct forms of it. 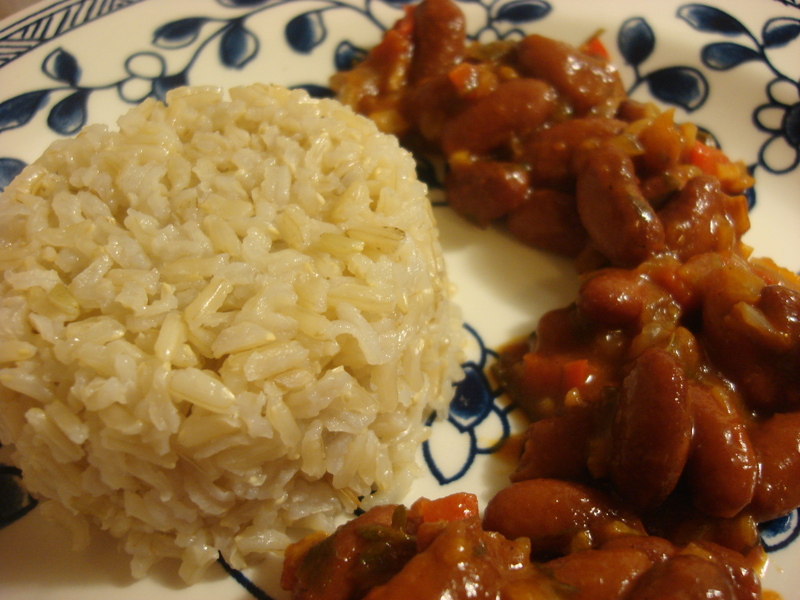 And in fact, it turns out to have a lot of uses in the Puerto Rican kitchen, but I have only just begun to explore that. Which brings me back to the local IGA (independent grocery) and the lumpy celeriac sitting in a corner, ignored. 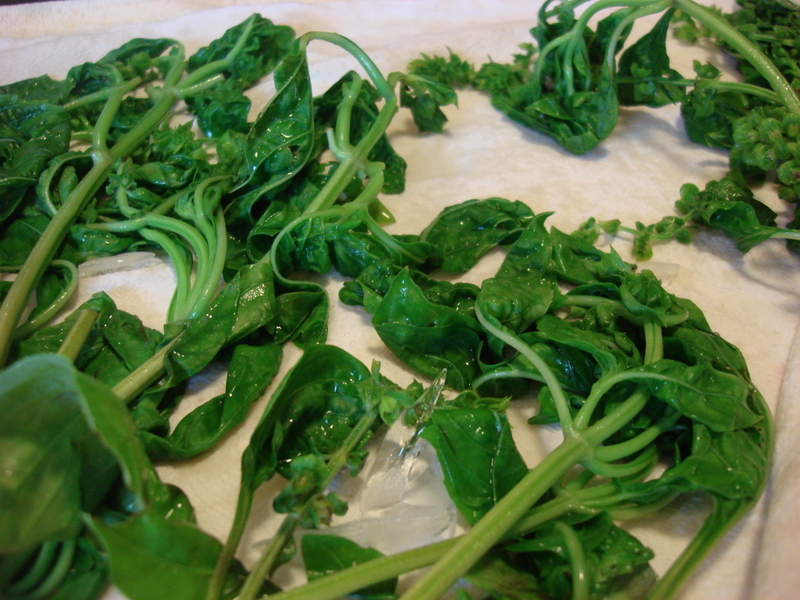 I was actually charged with taking a salad to a St. Patrick’s Day dinner party and was hoping to find something novel to add to it. And there was my answer. The Mystery Root. When you get your celery root ready, pop it into a bowl of cold salted water until ready to cut up. It will oxidize and like Princess Fiona, return to its natural ogre-like state. To prepare, rinse. Slice off each end and pare off the tough skin with a knife. plunge in cold salted water until ready to use. You can boil it with potatoes (1 part celeriac: 2-3 parts potato) in your favorite mashed potato recipe, or make remoulade (again, I may just make some today. 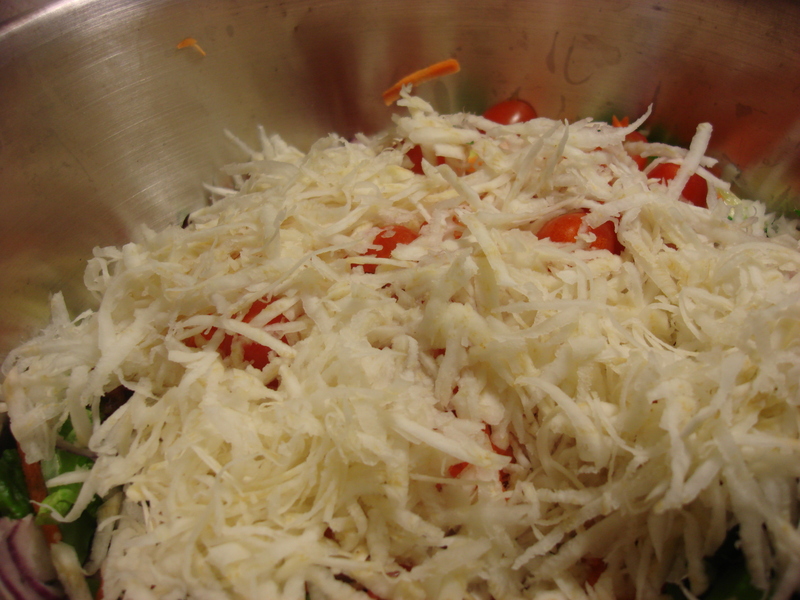 I’ll keep you “posted”) or, do as I did: grate it raw into a green salad and add apples and grated carrot. Mustardy-mayonnaise-y dressings are good matches for the celeriac, which tastes a lot like…well, celery! We’ve been doing Taco Tuesdays for the last month or so. Our neighbors across the street do it, so Leandro decided we should too. I actually like it, because it gives me a solid plan and lets me tinker. I don’t actually do the taco thing – by the time all the accoutrements get to the table I have eaten more than my share of shredded cheese and settle for rolling a veggie wrap for myself (ripe avocado slices are my solution when I crave creaminess and am trying — quite unsuccessfully — to battle my cheese dependence). Sometimes perfect isn’t good enough. Sometimes, perfect is boring. Sometimes you think you’ve got something down perfectly pat, only to discover that someone else can actually do it better. Such is the story of this recipe. 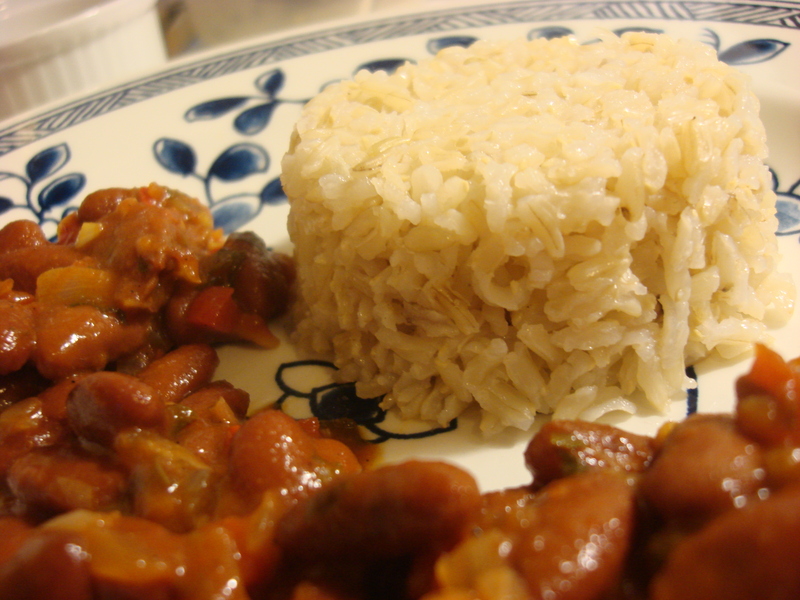 I have posted my Perfect White Rice in accompaniment with a variety of bean recipes a number of times on this blog. It comes out perfect every time: grains moist but separate, texture cooked through but not mealy. But my dad’s rice (which uses exactly the same ingredients, as it happens) is just better. Mine is a great accompaniment. But his? You can eat it right out of the pot with nothing else and find bliss. It’s just white rice, but it has the slightest sheen of oil, a satisfying plumpness, just the right saltiness. And now, here it is. ¡Buen provecho! Bring water, oil, and salt to a boil at high. Add rice. Stir. Return to boil, lower heat to medium high and allow water to boil away until the top is no longer under water and the bubbles come up through holes in the surface. Turn rice over with a spoon bringing the bottom to the top. Cover and cook on low heat for 20 minutes. Serve. Or stand next to the stove and just eat it out of the pot. I’m telling you. There is no better big-dinner, buffet, picnic, or other party dish in my arsenal than Yuca Salad (aka ensalada de yuca, yuca en escabeche). None. I kid you not. On its own or with rice, these mildly curried vegetables are a worthy side dish! Thanksgiving is my absolute favorite holiday. No gifts, just massive food, and a chance to give thanks for all that we have. Given how very fortunate my family was through the storms – Sandy and the nor’easter, the grateful feelings are particularly sharp. The sides I include here are all from previous posts and are meant to give you simple solutions to plugging holes in your menu. This blog is called Hot, Cheap & Easy, and these recipes – made from basic ingredients, easily obtained — exemplify this (except maybe the Butternut Squash Bisque, but that is mostly made-ahead so I think I can be forgiven on that one). My darling son starts kindergarten this week. Yikes! And I go back to the classroom to teach next week. Double Yikes! 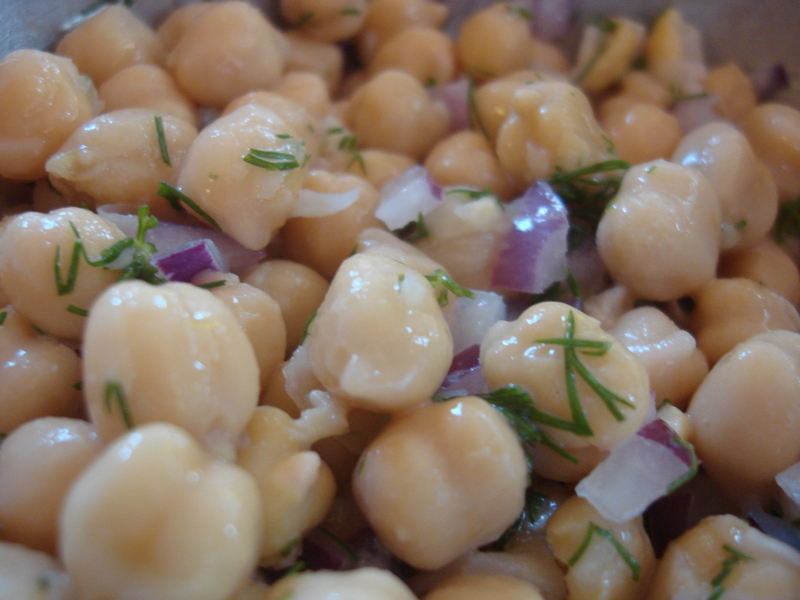 I am forever putting together cold chickpea salads for the summer. This time I had dill in the fridge needing to be used up so I figured I would try it. The result was fresh and good. Mint would be a terrific substitute or addition. You can really go in many directions with this one! You can mix it with rice or use it to top a green salad or just eat it right out of the mixing bowl with a spoon while standing in front of the fridge (not that I would ever do that. Uh-uh. Not me). Light and fresh – perfect side for supper! Mix or whisk lemon juice or vinegar and tahini together in a bowl. Add remaining ingredients and stir to mix well. In fact, I want to keep cooking to a minimum, so rather than season my ground beef or even have to defrost and simmer the pre-made stuff I have stocked in the freezer, my “chili” has gone vegetarian. I call it “chili” because I add chili powder, but I make no claims to authenticity. 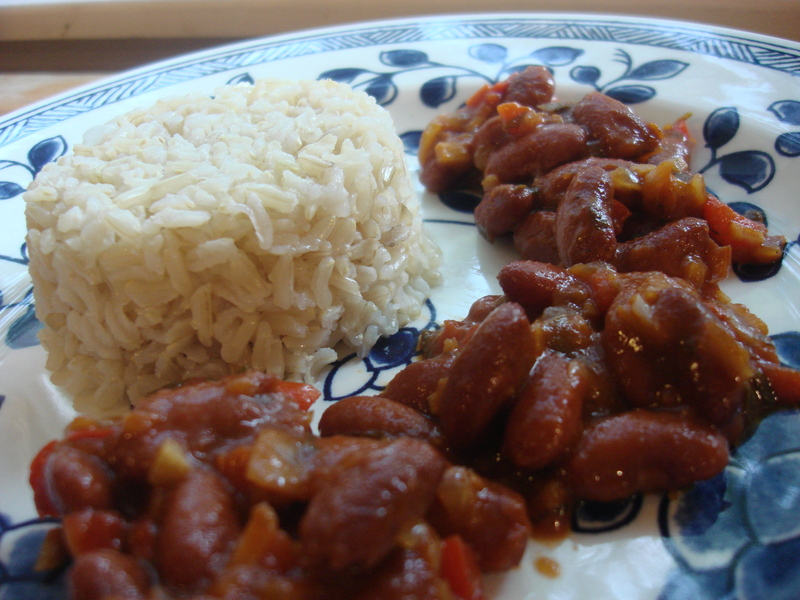 If you want to call it rice and beans with chili seasoning, by all means do. “That which we call a rose by any other name would smell as sweet,” to quote a certain lovelorn 13-year-old from Verona. Whatever you call it, it will be ready to eat in about 15 minutes, and I call that fast! 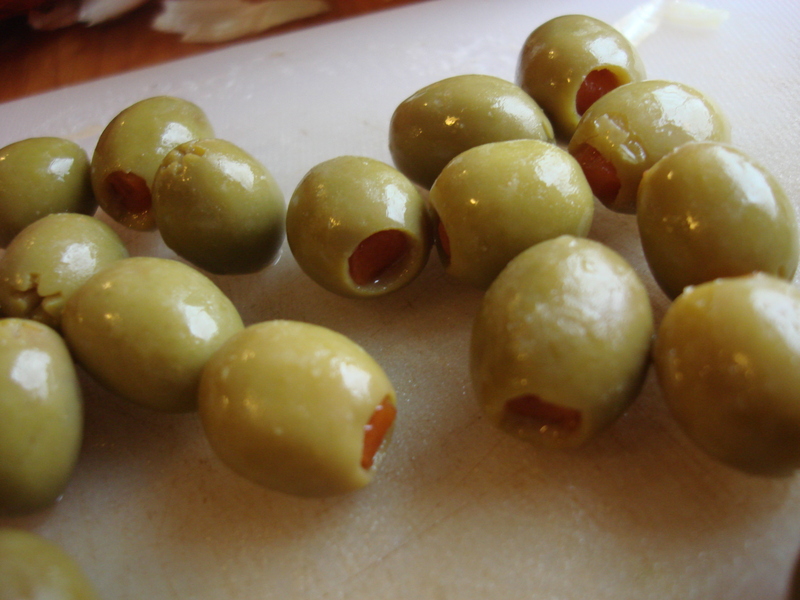 Heat olive oil at medium-high in a saucepan until loose and fragrant. 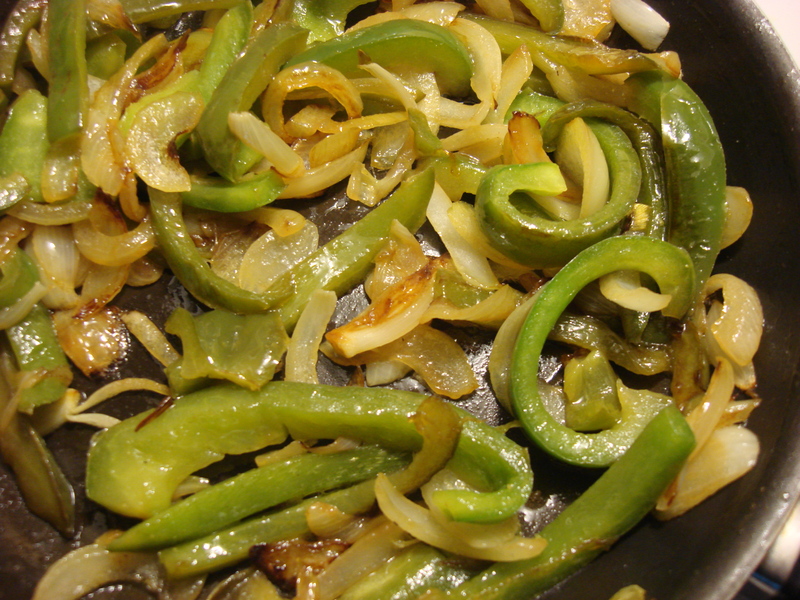 Add onions, stir to coat and reduce heat to medium. 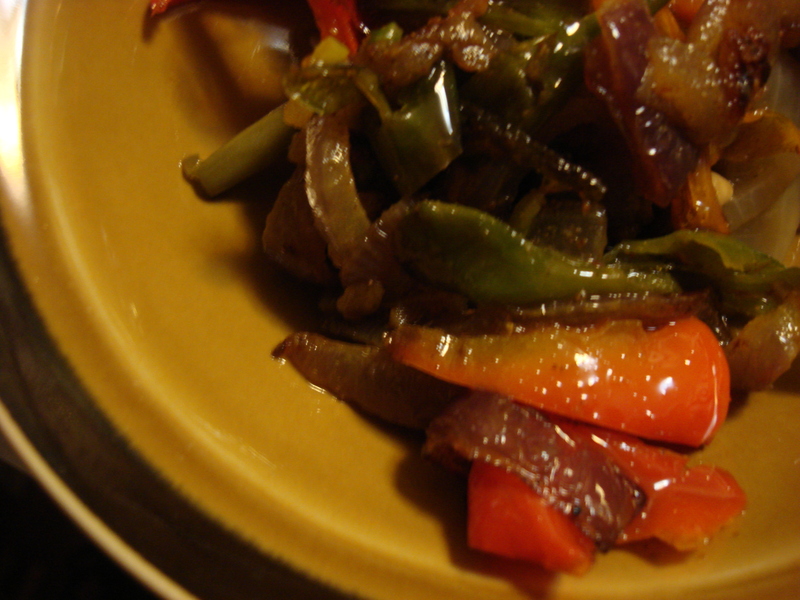 Add red pepper and garlic and sauté for 5 minutes, or until vegetables are translucent and soft. Add tomato paste, stir in to coat and cook for a minute. Stir in beans, oregano, chile powder, cilantro, thyme, red pepper flakes and bay leaf. 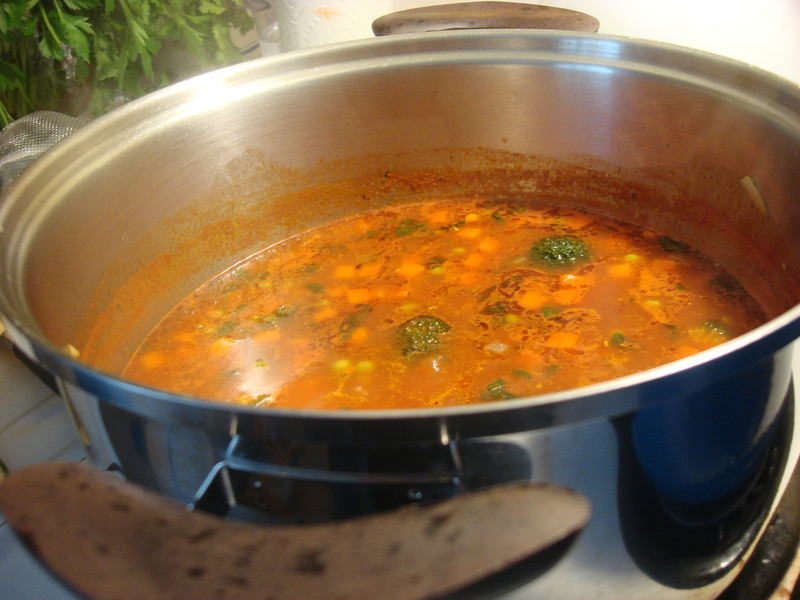 Add ½ Cup water (more, if you want it more liquid) and cook for 15-20 minutes. Salt to taste and serve with white rice or wrapped in tortillas with cheese, shredded lettuce, salsa and all that fun Mexican restaurant-type stuff.